I have contributed substantially to research on active life expectancy, a central public health indicator, which measures life expectancy and the proportions of life with and without disability. I introduced the use of Markov chain analysis and microsimulation for estimating active life expectancy (Laditka, 1998; Laditka & Wolf, 1998). This method addresses two challenges that are common in longitudinal surveys of health and disability, missing responses and variability in the length of the intervals between surveys. The method allows researchers to make better use of longitudinal data to improve life expectancy and disability projections. Centers for Disease Control and Prevention & Alzheimer’s Association. The Healthy Brain Initiative, 2007. My research on active life expectancy has been supported by two grants. I have published a number of relevant journal articles, book chapters, an encyclopedia essay, and edited a book on this topic. My book features research by internationally recognized experts in this field. “Adverse Childhood Circumstances and the Dynamics of Disability and Mortality throughout Adult Life,” Small Grant for Research Using PSID Data, University of Michigan, funded through the National Institute on Aging (P01 AG029409); Role: Co-Investigator; PI: Dr. James Laditka, 2016-2017. “Disability Burdens among Older Americans Associated with Gender and Race/Ethnicity in Rural and Urban Areas.” Role: Co-investigator; Principal Investigator: J.N. Laditka. Funded by the Office of Rural Health Policy, Health Resources Services Administration, under contract with the South Carolina Rural Health Center, 2004-2005. Laditka, S.B., and J.N. Laditka. “Moxie Matters: Associations of Future Orientation with Active Life Expectancy.” Aging and Mental Health, epub ahead of print, June 29, 2016. Laditka, J.N. and S.B. Laditka. “Associations of Educational Attainment with Disability and Life Expectancy by Race and Gender in the United States: A Longitudinal Analysis of the Panel Study of Income Dynamics.” Journal of Aging and Health, epub ahead of print, December 20, 2015. Laditka, J.N. and S.B. Laditka (2016). “Associations of Multiple Chronic Health Conditions in the United States with Active Life Expectancy.” Disability and Rehabilitation, 38(4), 354-361. Laditka, S.B., and J.N. Laditka (2015). “Active Life Expectancy of Americans with Diabetes: Risks of Heart Disease, Obesity, and Inactivity.” Diabetes Research and Clinical Practice, 107(1), 37-45. Laditka, J.N. and S.B. Laditka (2014). “Stroke, Disability, and Mortality in the United States: 1999-2009.” Disability and Health Journal, 7(4), 472-477. Laditka, S.B., and J.N. Laditka (2014). “More Education May Limit Disability and Extend Life for People with Cognitive Impairment.” American Journal of Alzheimer’s Disease and Other Dementias, 29(5), 436-447. Laditka, J.N., S.B. Laditka, B. Olatosi, and K.T. Elder (2007). “The Health Tradeoff of Rural Residence for Impaired Older Adults: Longer Life, More Impairment.” Journal of Rural Health, 23(2), 124-132. Laditka, S.B. and J.N. Laditka (2002) “Recent Perspectives on Active Life Expectancy for Older Women.” Journal of Women and Aging, 14(1/2), 163-184. Also published as a chapter in Health Expectations for Older Women: International Perspectives (2002), S.B. Laditka (Ed.) (pp. 163-184), New York: Haworth Press. Wolf, D.A., S.B. Laditka, and J.N. Laditka (2002). “Patterns of Active Life among Older Women: Differences Within and Between Groups.” Journal of Women and Aging, 14(1/2), 9-26. Also published as a chapter in Health Expectations for Older Women: International Perspectives (2002), S.B. Laditka (Ed.) (pp. 9-26), New York: Haworth Press. Laditka, S.B. (2002). “Introduction: Health Expectations for Older Women: International Perspectives.” Journal of Women and Aging 14(1/2), 1-7. Also published as a chapter in Health Expectations for Older Women: International Perspectives (2002) (pp. 1-7), S.B. Laditka (Ed. ), New York: Haworth Press. Laditka, S.B. and J.N. Laditka (2001). “Effects of Improved Morbidity Rates on Active Life Expectancy and Eligibility for Long-Term Care Services.” Journal of Applied Gerontology, 20(1), 39-56. Laditka, S.B. (1998). “Modeling Lifetime Nursing Home Use under Assumptions of Better Health.” Journal of Gerontology: Social Sciences, 53B, S177-S187. Laditka, S.B. and D.A. Wolf (1998). “New Methods for Analyzing Active Life Expectancy.” Journal of Aging and Health, 10, 214-241. Laditka, S.B. and J.N. Laditka (2009). “Active Life Expectancy: A Central Measure of Population Health,” in International Handbook of Population Aging, P. Uhlenberg (Ed. ), (pp. 543-565), Netherlands, Springer-Verlag. Laditka, J.N. and S.B. Laditka (2006). “Effects of Diabetes on Healthy Life Expectancy: Shorter Lives with More Disability for Both Women and Men.” In Longer Life and Healthy Aging (pp.71-90). Z.Yi, E. Crimmins, Y. Carrière, J.M. Robine (Eds.) Springer. Laditka, S.B. and M.D. Hayward (2003). “The Evolution of Demographic Methods to Calculate Health Expectancies.” In Determining Health Expectancies, J.M. Robine, C. Jagger, C.D. Mathers, E.M. Crimmins, and R.M. Suzman (Eds.) (pp. 221-234). West Sussex, UK: Wiley. Laditka, S.B., and J.N. Laditka. “Compression of Morbidity.” Encyclopedia of Lifespan Development. M. Borstein, M. Arterberry, K.L. Fingerman, & J. Lansford (Eds. ), Thousand Oaks, CA: Sage. (In press). Laditka, S.B. (Ed.) (2002). 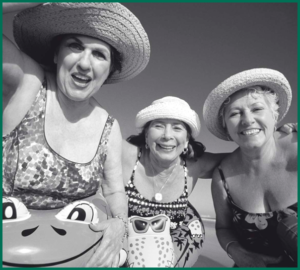 Health Expectations for Older Women: International Perspectives. New York: Haworth Press, 196 pages.